Graduated Hillwood High School, Class of 1965. US Army enlisted May 1965, stationed in Fort Campbell, KY, Williams was a member of the Third US Army HQ & Company A - 706th Maintenance Batallion, honorably discharged May 1968, and awarded National Defense Service, Vietnam Service with Bronze Service Star, and Vietnamese Campaign Medals. 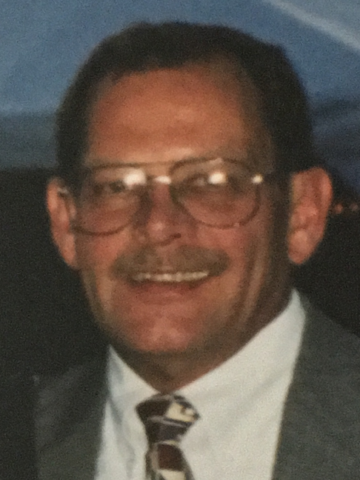 He came to know, serve, and befriend many Nashvillians during his time at Hart Hardware and Steinhouse Supply, and was a faithful member and Deacon at the Bellevue Christian Church. He loved his family, friends, fishing, and all things Big Orange! In lieu of flowers, the family requests donations to Bellevue Christian Church and the Bellevue Food Bank. A Celebration of Life will be held on Friday, July 28, 2017, at 9:30am, at West Harpeth Funeral Home with Tara Williams officiating. The interment will be private at Middle TN Veterans Cemetery. Visitation with the family will be on Thursday, July 27, 2017, from 5:00pm until 7:00pm, and on Friday after 9:00am at West Harpeth Funeral Home. Jim’s welcoming, friendly and caring attitude was an encouragement to all of us. His love and devotion to Brenda was beautiful to witness, Always a caring friend and supportive when he thought someone else might be hurting. His generous heart was displayed by his support for the hungry in the Bellevue community and to the Bellevue Food Bank. He displayed his love for God and Bellevue Christ Church by his faithfulness in attendance, giving financially, and serving in every way he was able. Our hearts will ache when we see the glow of the candles that you so faithfully arrived early each Sunday morning to light, and then took your assigned station to welcome us with that deep voice, a cheering smile, and some kind remark as we entered the Sanctuary each week. We will remember and miss you, but we rejoice in the knowledge of your salvation, and our hope of spending eternity with you in the presence of our Lord. We pledge our love and support to Brenda. Brenda, I will pray for you and your family to have the strength needed to see you all through this difficult time. I can’t adequately express my sadness and regret that I was not aware of what you have been going through. Jim was such a wonderful man. He so loved you. I pray the LORD will comfort you and your family with a peace that passes all understanding.